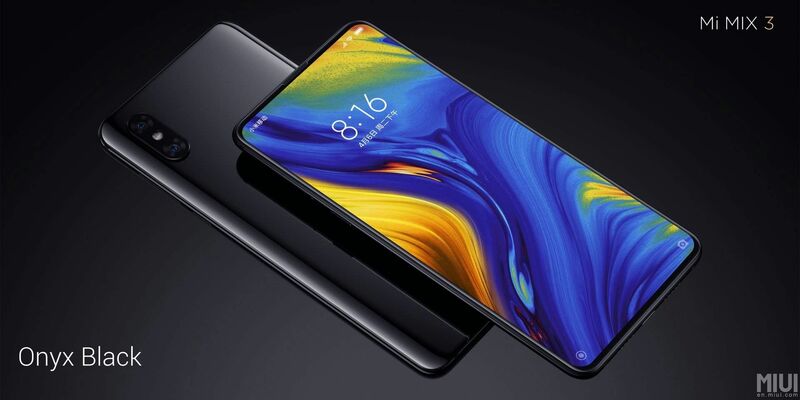 Xiaomi Mi MIX 3 is the manufacturer's first smartphone to feature slide-out selfie cameras, allowing it to achieve an incredible 93.4% screen-to-body ratio. 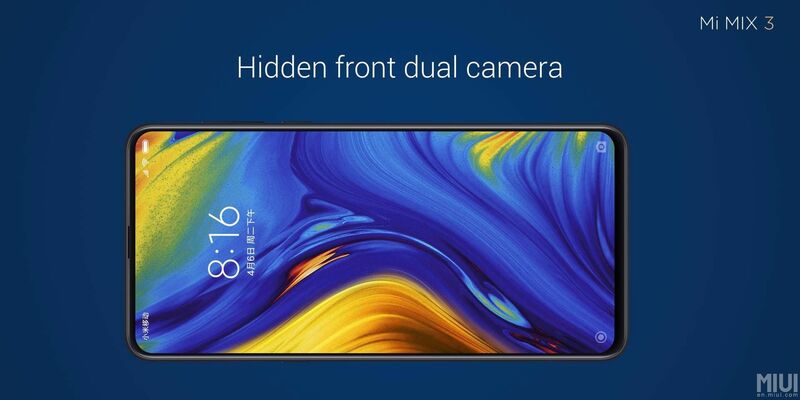 A 5G variant of the Mi MIX 3 has also been announced, although it will not be available for sale until Q1 2019. Xiaomi today unveiled its latest flagship smartphone at a media event held in Forbidden City, Beijing. The newest addition to the company’s Mi MIX series is dubbed Mi MIX 3 and boasts the highest screen-to-body ratio on a Xiaomi smartphone yet. 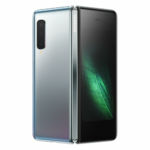 It is the first smartphone from the manufacturer to adopt a sliding camera design, similar but not identical to the motorized slide-out camera on the OPPO Find X. The Mi MIX 3 is also the first smartphone to be announced with 5G support. However, the 5G-ready variant of the smartphone will only be released in the first quarter of 2019. 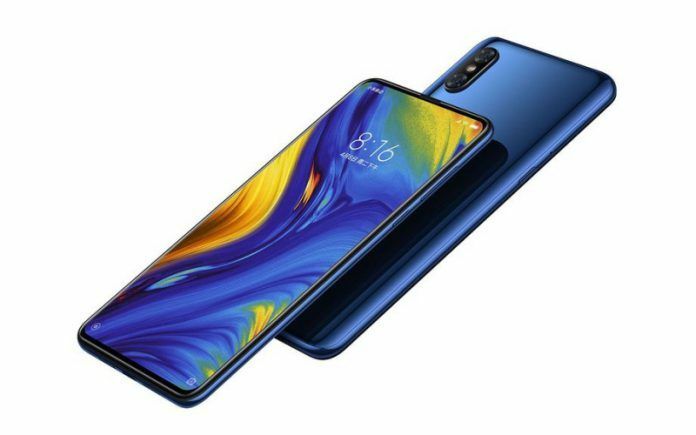 The Xiaomi Mi MIX 3 will be available in three colors – Onyx Black, Jade Green, and Sapphire Blue. Prices start at 3,299 yuan (INR 34,800 approx.) for the base variant with 6GB of RAM and 128GB of internal storage. Xiaomi has priced the 8GB RAM + 128GB storage variant at 3,599 yuan (INR 38,000 approx. ), while the 8GB RAM + 256GB storage variant will cost 3,999 yuan (INR 42,200 approx.). All three variants of the smartphone will be available for pre-order in China starting tonight. The first sale is set to be held at 10:00 AM on November 1. Alongside the regular Mi MIX 3 variants, Xiaomi also announced the Mi MIX 3 Palace Museum Edition, which has been priced at 4,999 yuan (INR 52,750 approx.). 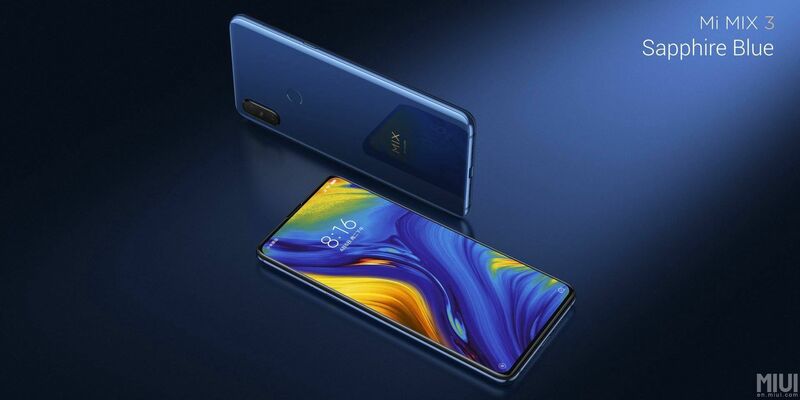 It will arrive in a special retail packaging with a 24K gold-plated bronze statue, 10W wireless charger, and an exclusive Xiaomi mobile card that will offer 10GB of high-speed data per month for free for a period of three years. The Mi MIX 3 Palace Museum Edition is also the only Mi MIX 3 variant to offer 10GB of RAM. 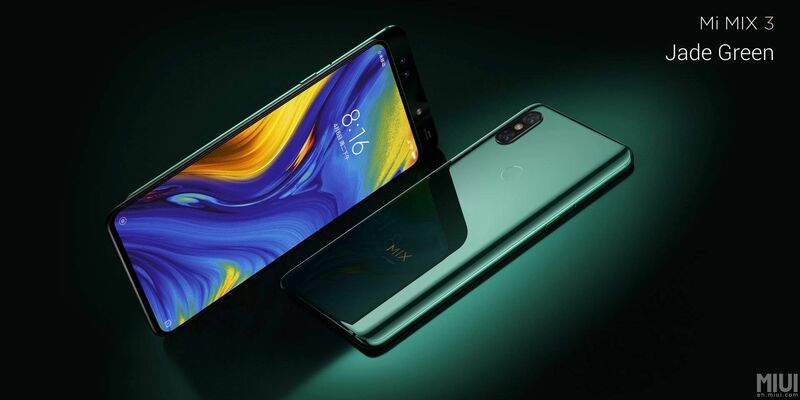 The Xiaomi Mi MIX 3 features a gorgeous full-screen design with slide-out selfie cameras. Unlike the OPPO Find X, however, Xiaomi is using a magnetic manual sliding mechanism instead of a motorized slider. Xiaomi claims the slide-out mechanism on the Mi MIX 3 offers high endurance and has actually been tested over 300,000 times. Users can slide to answer phone calls, open the shortcuts drawer, take a selfie, and more. Xiaomi even lets users customize the sound that is played when they open the slider. Thanks to the slide-out camera mechanism, the Mi MIX 3 achieves a truly impressive screen-to-body ratio of 93.4%. The custom-made AMOLED HDR display from Samsung measures 6.39-inches diagonally with 1080 x 2340 Full HD+ resolution and a 19.5:9 aspect ratio. Powering the Mi MIX 3 is a Qualcomm Snapdragon 845 octa-core processor, which powers nearly all major flagship smartphones announced this year. 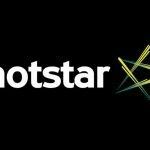 The smartphone will be available in three memory configurations – 6GB RAM + 128GB storage, 8GB RAM + 128GB storage, and 8GB RAM + 256GB storage. 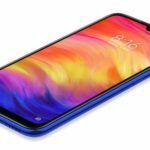 The Mi MIX 3 does not include a microSD card slot, so further expansion will not be possible. A 3.5mm headphone jack is missing as well. In terms of imaging, Mi MIX 3 is Xiaomi’s most impressive flagship smartphone yet. At the rear, the smartphone sports a 12MP + 12MP setup with 2x optical zoom, 4-axis optical image stabilization, steady handheld night photography, and Dual Pixel autofocus. While the primary 12MP Sony IMX363 snapper boasts 1.4um pixel size and an f/1.8 aperture, the 12MP telephoto snapper has 1.0 micron pixels and a smaller f/2.4 aperture. 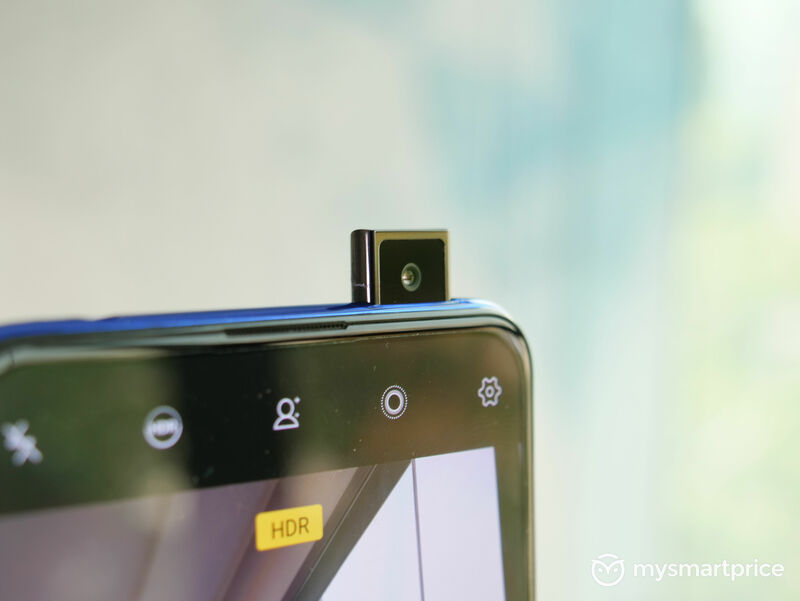 Apart from being capable of capturing 4K Ultra HD resolution videos at up to 60fps, the Mi MIX 3 is also the first Xiaomi smartphone to offer 960fps slow-motion video capture. For selfies, the Mi MIX 3 is equipped with a 24MP + 2MP dual-camera setup with 4-in-1 pixel binning, AI Smart Beauty, AI Face Unlock, AI studio lighting, AI scene detection, AI catchlight and AI dynamic bokeh. 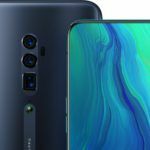 The Mi MIX 3 cameras have already been reviewed by the folks over at DxOMark, who have given it an overall score of 103, which is the same score achieved by Samsung’s Galaxy Note 9 and the HTC U12 Plus. Only the iPhone XS Max and the Huawei P20 Pro sit higher on the DxOMark Mobile ranking. Connectivity-wise, the Mi MIX 3 offers Wi-Fi 802.11 a/b/g/n/ac dual-band, Bluetooth 5.0 Low Energy, GPS with A-GPS, GLONASS, Galileo, QZSS, BeiDou, NFC, USB Type-C port, and Dual 4G VoLTE. The Mi MIX 3 is fueled by a 3200mAh capacity battery with support Qualcomm Quick Charge 4.0+ fast charging standard. 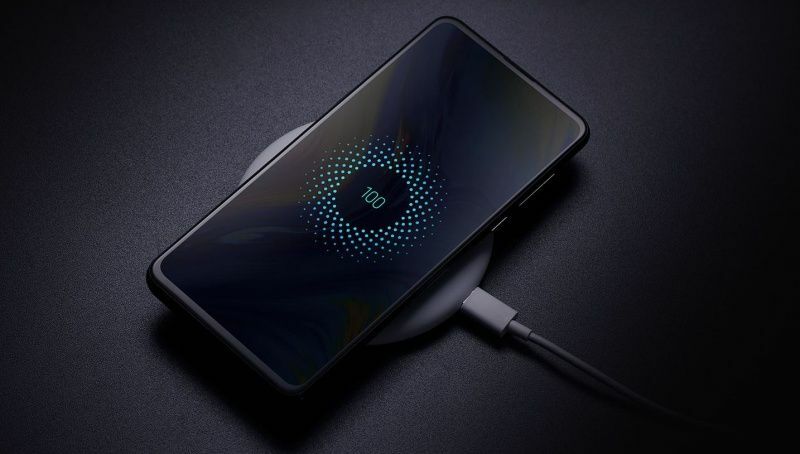 In addition to wired fast charging, the Mi MIX 3 also supports 10W fast wireless charging. The flagship smartphone measures 157.89 x 74.69 x 8.46mm and weighs in at a rather hefty 218 grams. On the software front, Xiaomi Mi MIX 3 will ship with Android 8.1 Oreo-based MIUI 10 out of the box.